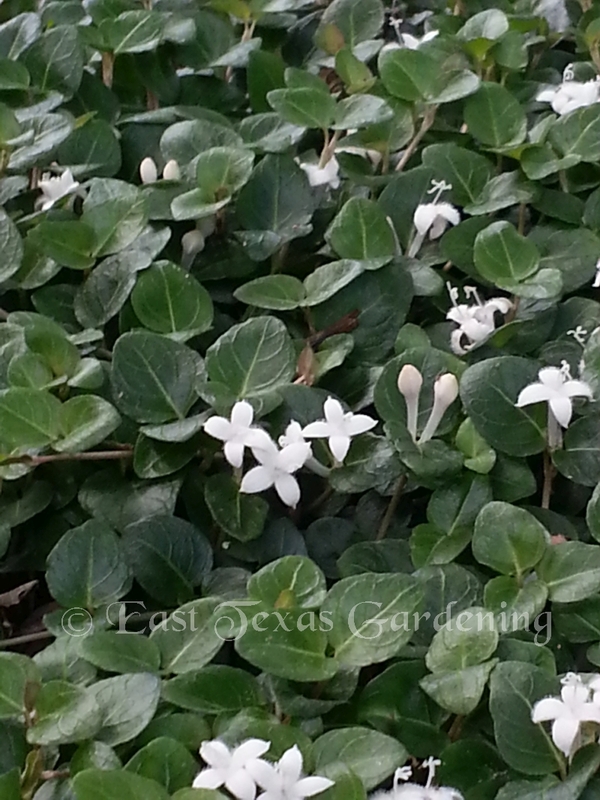 Just like a fine carpet or well-chosen tile flooring can dramatically enhance the appearance of any room in your home, so can a choice groundcover plant do for your home landscape. 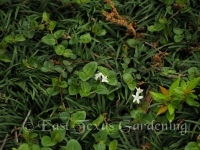 Selecting the right groundcover should be done wisely since an aggressive groundcover can quickly overtake a small area and become a nuisance rather than an asset. 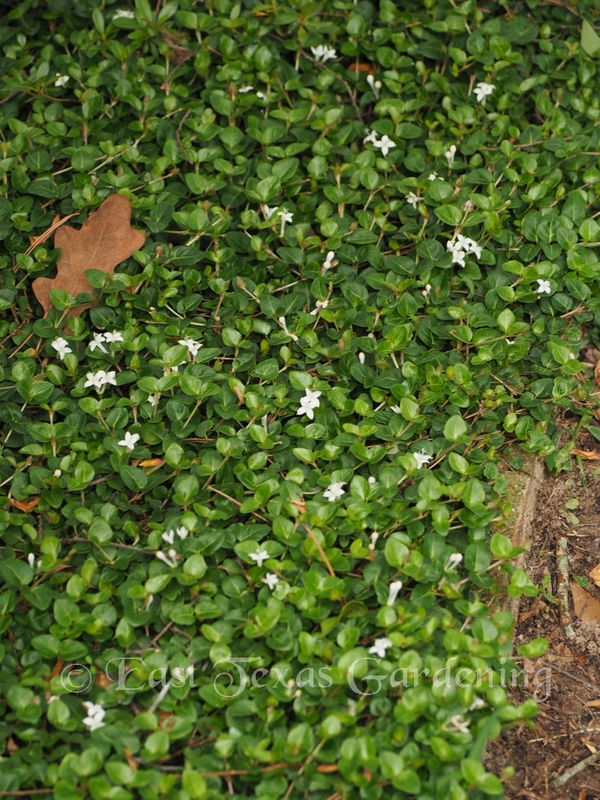 One of my favorite native groundcover plants is the lowly Partridge Berry (Mitchella repens). I got my start from a friend of a friend’s rental home about 15 years ago where I saw it growing unattended under an old bush on the southeast corner of the house. The small dark evergreen leaves and ground-hugging growth habit caught my eye, and so a couple of cuttings with roots came home with me. 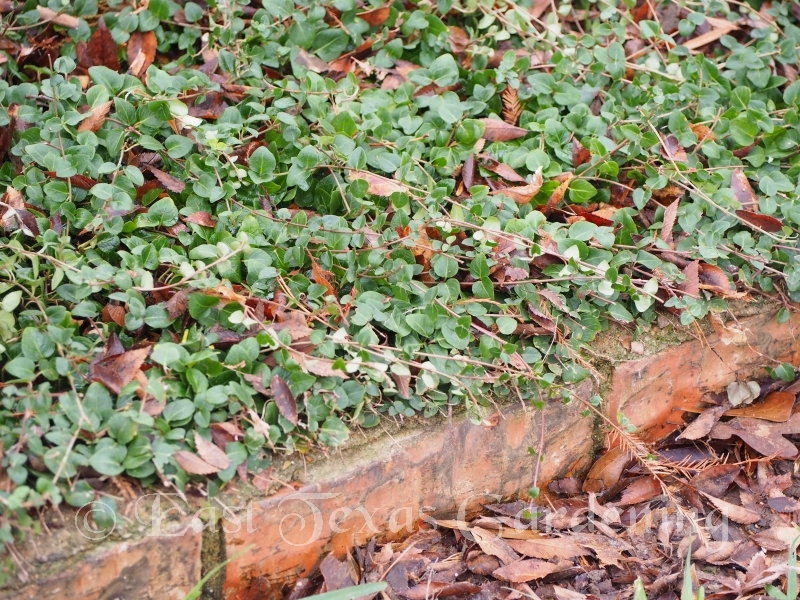 One thing is for sure – this native plant is slow to get going. It truly follows the maxim “the first year they sleep, the second year they creep, and the third year they leap”. 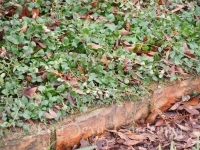 Only Partridge Berry took several more years to even begin to qualify for “leap”. 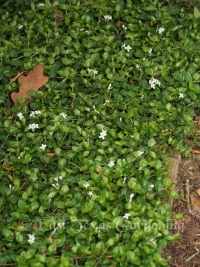 But, once it is established, it makes a fine groundcover for any shady location. 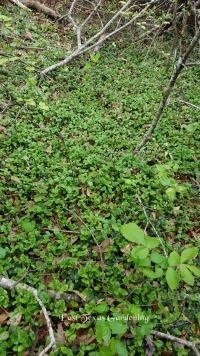 This year I discovered a large native population of Partridge Berry not far from my home. High up on a creek bank, a thick cover flowing down a gentle slope just before a precipitous drop down to the creek. Also present were a variety of native ferns, Jack-in-the-pulpit (Arum triphyllum), farkleberry, elms and other native trees. 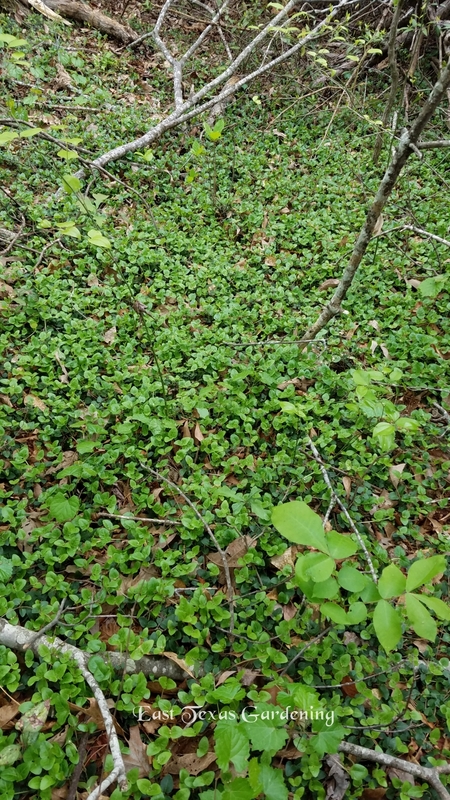 Further evidence that this is a groundcover worth growing for small, up-close areas of a landscape in the East Texas area. 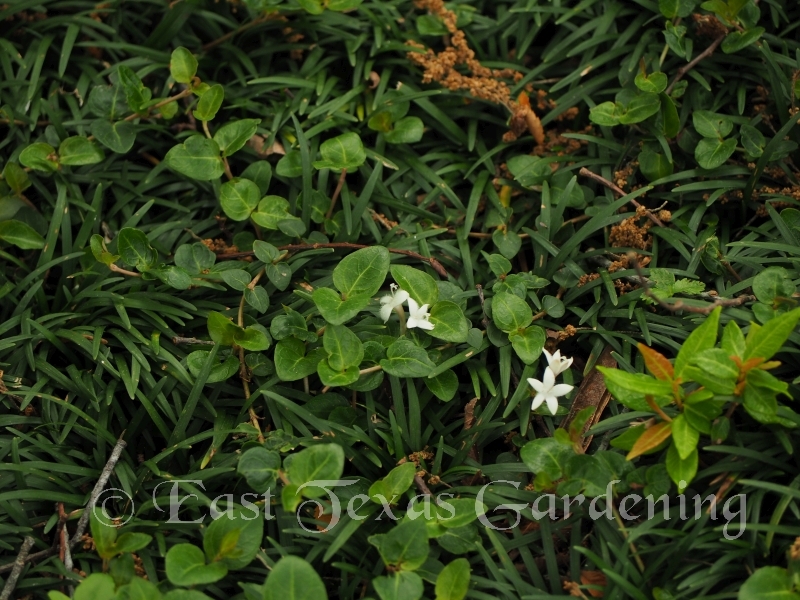 Be warned though that the small leaves, born opposite one another on stems on inches from the ground are easily covered up in the fall if the plant is located under a deciduous tree with large leaves. I have 2 patches, one under a ‘Burgundy Lace’ Japanese maple, and the other under an elm tree – both with relatively finely textured leaves that are easier to rake or blow off. So, I would need to determine which kind of flower mine has, and get one that has the other type. Berries are cool, but not enough to go through the trouble. However, now that I have found a large native population nearby, I can go back and get cuttings of what I need. 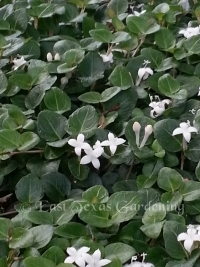 So, find a small area that would benefit from this choice native, give it deciduous shade, acidic soil, mulch between plants, water the first few years, and plenty of time to become established and spreading.